A discussion of the rapidly growing field, from a thinker at the forefront of research at the interface of technology and the humanities, this is a must-read for anyone interested in contemporary developments in Continental philosophy and philosophy of technology. Philosophy of technology regularly draws on key thinkers in the Continental tradition, including Husserl, Heidegger, and Foucault. Yet because of the problematic legacy of the 'empirical turn', it often criticizes 'bad' continental tendencies - lyricism, pessimism, and an outdated view of technology as an autonomous, transcendental force. This misconception is based on a faulty image of Continental thought, and in addressing it Smith productively redefines our concept of technology. 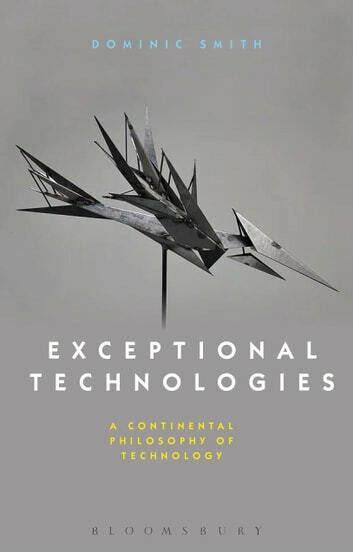 By closely engaging key texts, and by examining 'exceptional technologies' such as imagined, failed, and impossible technologies that fall outside philosophy of technology's current focus, this book offers a practical guide to thinking about and using continental philosophy and philosophy of technology. It outlines and enacts three key characteristics of philosophy as practiced in the continental tradition: close reading of the history of philosophy; focus on critique; and openness to other disciplinary fields. Smith deploys the concept of exceptional technologies to provide a novel way of widening discussion in philosophy of technology, navigating the relationship between philosophy of technology and Continental philosophy; the history of both these fields; the role of imagination in relation to technologies; and the social function of technologies themselves.